There are a lot of holidays in March! For this month’s military care package, I had to choose between shamrocks and rainbows or bunnies and jelly beans. The almost overwhelming selection of Easter candy was too much to resist. 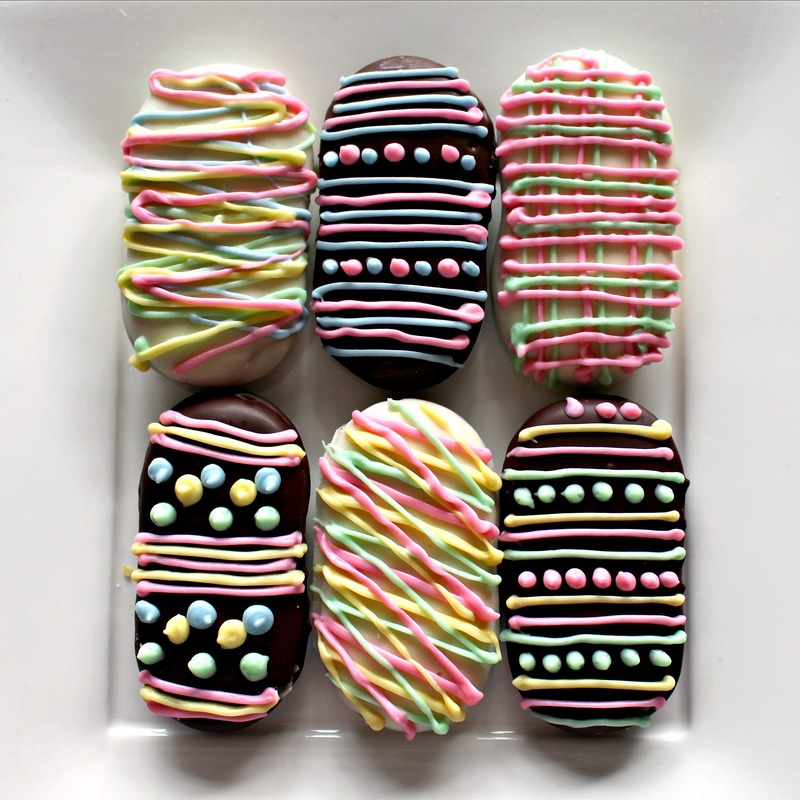 I created an Easter themed care package for Sailor J. and made chocolate dipped Milano Cookie Easter Eggs to sweeten her holiday. 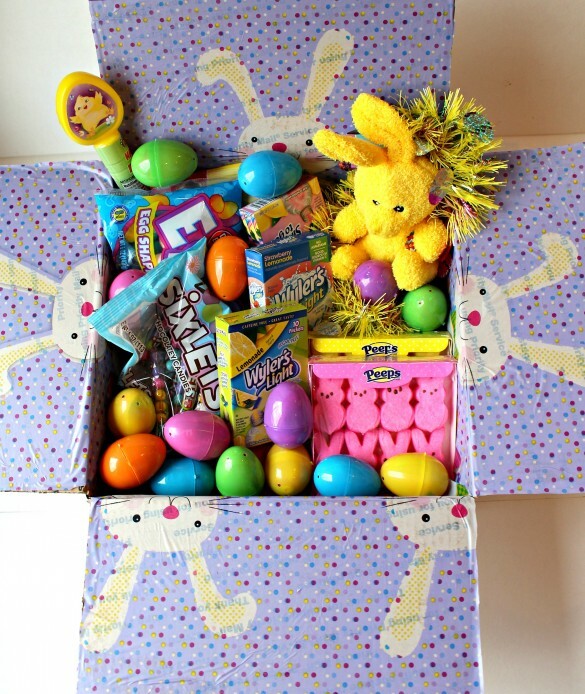 It is hard for me to believe that this is the third Easter military care package I have sent. When I first started my “Smiles and Thanks from Home” project, I had no idea how meaningful it would be both to me and to the troops I have had the honor of adopting. I get to bake and gather fun treats. The troops get cookies and candy. I get to thank the troops for the sacrifices they and their families make as they serve our country. The troops feel the appreciation and support included in each package. There are so many ways to help support our military and their families with one-time or long term commitments. If you are interested, I recommend checking out Operation Gratitude, Cup of Joe, and Soldiers Angels. One word of warning. Making people smile is addicting. Part 1 Care Package Contents: A small, but strong, yellow Easter rabbit is traveling for the next few weeks to deliver this Easter basket/box. A plastic table cloth from the Dollar Store provided the polka dotted lining for the box flaps and cushioning for the bottom of the box. The goodies inside include: pastel colored boxes of drink mix, numerous containers of candy (heavy on the jelly beans), decorative garland, fruit flavored marshmallows, Peeps, and lots of plastic eggs filled with more candy. Part 2 Decorated Cookies: I always include some kind of easily decorated cookie in my military care packages. Sometimes I send vanilla and chocolate sugar cookies iced, colored, or sprinkled. Other times I use a packaged cookie that I embellish to match the theme. For this box I used mint Milano cookies coated in dark and white chocolate then decorated with colored white chocolate designs. 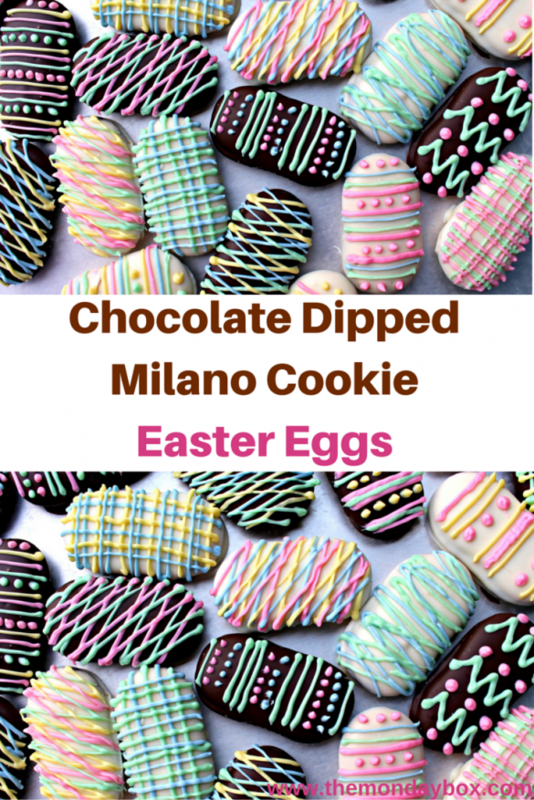 Milano Cookie Easter Eggs are a pretty addition to a care package or holiday platter. Making the squiggles and dots is easy and would be a fun project to do with children. There are 15 Milano cookies in each package. To coat 15 cookies I used 1 ½ – 2 cups total of melted chocolate. 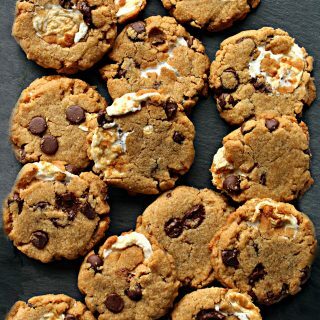 (To make the cookies half white chocolate and half dark, I used about 1 cup of each.) I use melting chocolate from Chocoley.com. For these cookies I used Bada Bing Bada Boom candy and molding formula for a smooth, slightly thicker coating. In addition, for decorating about 1 ½ cups of melted white chocolate is needed. The cookies are dipped in the melted chocolate to coat completely then placed on a wax paper lined baking sheet. 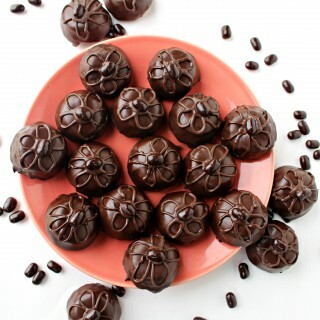 To set the chocolate, chill the baking sheet of cookies in the refrigerator for 10-15 minutes. When ready to decorate, divide the white chocolate for decorating into a separate small bowl for each color. Microwave on 50% power for about 1 minute or until melted. Add oil based candy coloring to each bowl and mix to create an even color. Transfer the chocolate to piping bags or plastic sandwich bags. Cut off a tiny bit of the bottom tip of the bags to pipe the colored chocolate onto the coated Milanos. If the colored chocolate begins to cool and harden in the bag while you are decorating, re-melt it in the microwave for 10 seconds. Refrigerate the cookies again, to set the decorating chocolate. Be sure to keep weather in mind when shipping chocolate coated cookies. Milano Cookie Easter Eggs should only be mailed to and from cool weather locations. Usually, it is considered safe to send chocolate in military care packages to Afghanistan until the end of March. I took a risk with these. First, I don’t actually know where Sailor J. is stationed, so I can’t know the temperature where she is. Second, the weather has been unseasonably warm in so many places. I wrapped the Milano Cookie Easter Eggs individually in a strip of wax paper, then in plastic wrap. The wrapped cookies were then placed snuggly in plastic storage boxes. Hopefully, the cookies will arrive intact. If not, at least the chocolate will be contained. 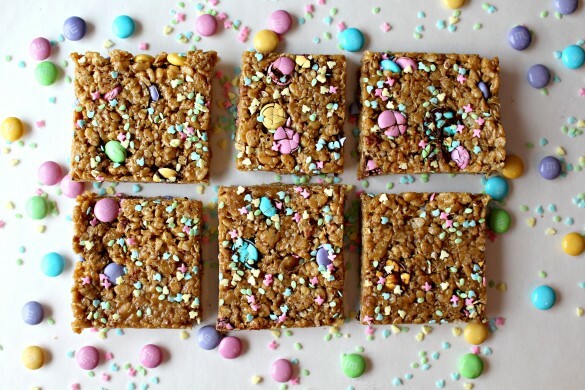 Part 3 New Recipe: Easter Krispie Bars are the new recipe included in this care package. The chewy Krispie Bars are an easy, no-bake treat speckled in spring colors. Rice cereal and oatmeal provide crunch. Peanuts, m&m’s, and honey provide yum! Great for home or care package, these bars stay fresh for several weeks. Part 4 Other Recipe Ideas: To make it easier for readers to find other Monday Box recipes that would work well with each care package theme, I am adding a “Part 4” to the military care package posts. I hope this will be helpful. 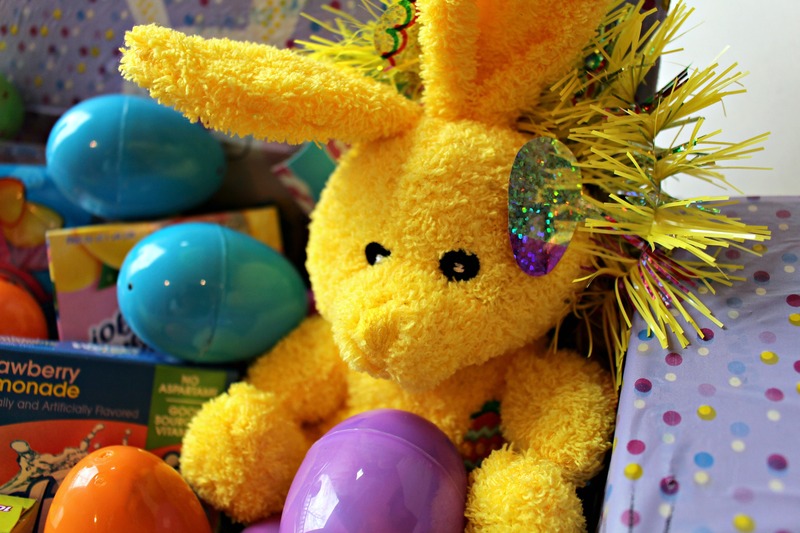 For additional Easter care package goodies, take a look at these travel worthy treats. Oh Milanos are one of my favorites. Dipped in chocolate and decorated like this they’re completely irresistible. 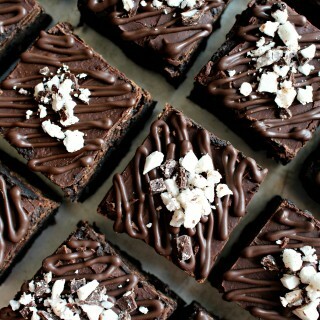 I may have to bring a plate of these to Easter dinner at my mom’s. Thank you, Christine! 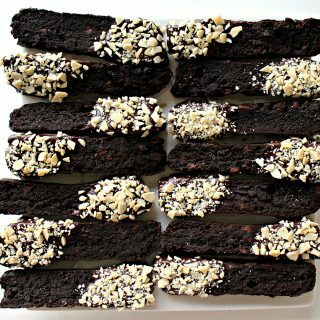 Milanos are tasty on their own, but coated in chocolate they are extra good! Your creativity and generosity always make me smile. What a fun Easter box to receive. Lucky Sailor J.
Mint Milanos will never be the same for me anymore. Thanks, Cindy! Sorry to ruin plain Milanos for you. 😉 I am dangerous with a bowl of chocolate or frosting! I have a lot of fun putting together the military care packages. There are a lot of holidays this March – especially with Easter so darn early this year!! 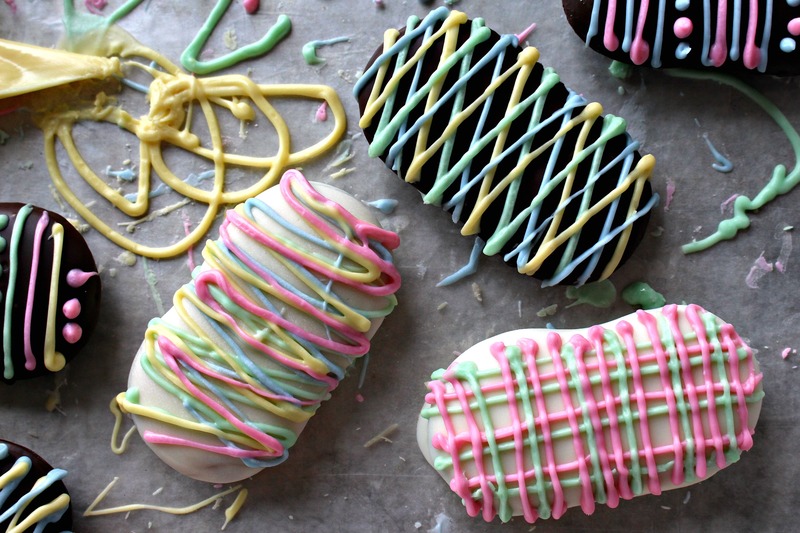 Milanos have long been one of my favorites – these are just too fun the way you decorated them!! Hope you had a great weekend Wendy!! I’m sorry, Winnie! I should have taken a photo of the cookies right out of the package, before I chocolate dipped them! Milano’s are a yummy sandwich cookie made by Pepperidge Farm. The fillings come in many flavors including the chocolate-mint that I used for the Easter Egg cookies. These are so pretty Wendy – just like all your amazing creations. You have a wonderful eye and a generous heart. Thanks for sharing these beautiful cookies – they made me smile. I’m new at all of this. My son is a,new Marine currently at Camp Pendleton in California. We live in New Jersey. I would love to send him a care package with goodies for Easter. 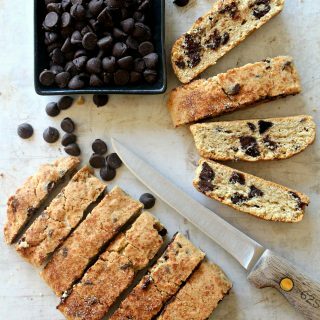 Can you give me some advice on how to package cookies, candy, etc.? Any help would be appreciated!! Please email me. Thanks!! Hi, Michelle! I sent you an email that I hope will be helpful. I am happy to try to answer your care package questions! My heartfelt thanks to you and your son for his service! These are fabulous — sharing and pinning! Thanks, Sue! I appreciate the sharing! These are so pretty Wendy. I’m trying to imagine the joy of opening your package. You are such a blessing to these brave soldiers! 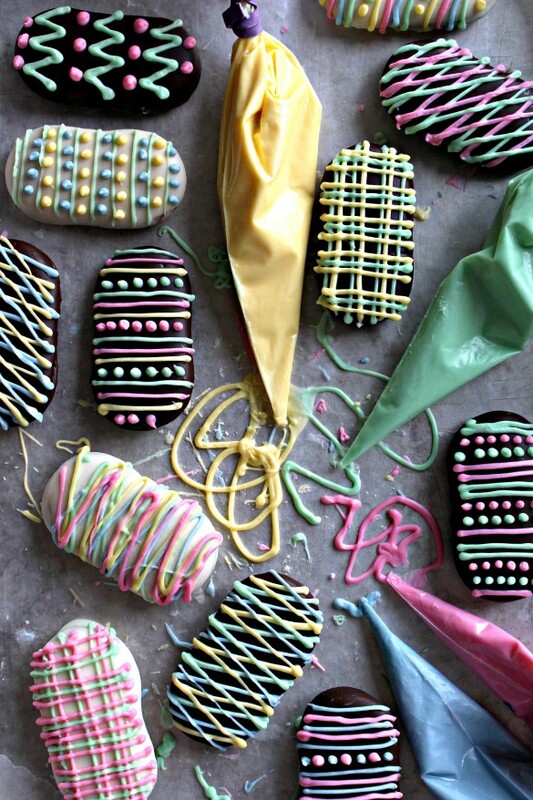 What a clever idea to dip the cookies and decorate them! They are such a lovely treat to share! Thank you, Julia! 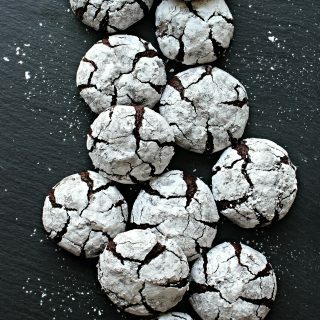 I love dipping cookies in chocolate both for the looks and the taste! In this case, the oval shape of Milanos won the egg look-alike contest! We have active duty Military members in our family and I know first hand how much these special treat boxes mean to these members. Thank you so much for adding to their day in such a special way! Your Care Package looks amazing and Sailor J. is a very lucky person to get this special treat box!! Hope you have a very special week and thanks so much for sharing with Full Plate Thursday. I love your care packages for the military! I try to challenge my readers once a month to bake for a good cause, and I am going to put military care packages on the list! Thank you for sharing! And i love Milano cookies and dipping them in chocolate makes them even better! Thanks, Kim! 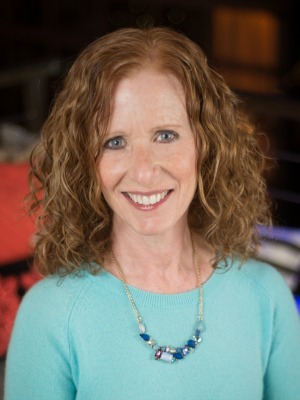 I love your reader challenge! In our crazy world, it is sometimes surprisingly hard to bake for a good cause. A lot of places won’t accept home baked goodies due to health or security risks.There are some groups that accept one time donations though, and I think its wonderful that your readers regularly bake and share! What a great idea to decorate Milano cookies with these beautiful colors! Bryan and I love Milano cookies. It is dangerous to have a box at home. These cookies will sure put a smile on Sailor J’s face. Enjoy the Easter weekend! Thanks, Lokness! Milanos are delicious and just about eggs shaped, so I couldn’t resist turning them into Easter Eggs. I had a smile on my face making them, and I hope the smiles will transfer to the troops eating them! Have a joyous Easter! Truthfully, I had never thought of making over existing cookies! What a fabulous, fun way to jazz them up! These are perfect for Spring/ Easter, but could easily be altered for any occasion or color scheme. Love it. Pinning! PS Thanks for linking up at My Busy Beehives #beeparty this week! Please come again! Thanks, Julie! These are just like chocolate coated Oreos, but made with Milanos for the oval, egg-like shape. Thanks for hosting the bee party! 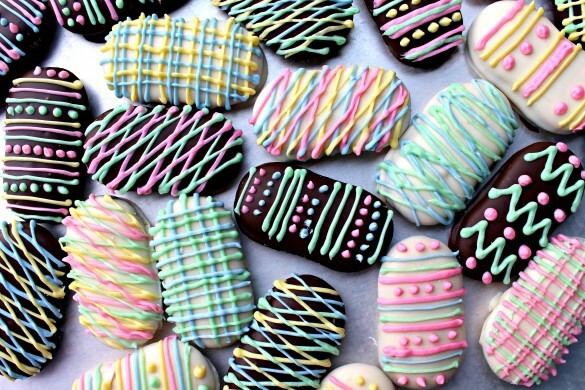 These are very special Easter Cookies, just beautiful! Hope you are having a great weekend and thanks so much for sharing with us at Full Plate Thursday! Thank you, Miz Helen! I’m glad you like these cookie “eggs”. They are a lot of fun to make! Thanks for hosting Full Plate Thursday! Love Milanos. Can’t imagine how much better these are. Your decorating skills are on point. Milanos are my fav! You’ve made them look so festive and unrecognizable ? Thanks for shared with us at Family Joy Blog linky party ? Lucky members to get this special box! Hope you are having a great weekend and thanks so much for sharing your great post with us at Full Plate Thursday! I think it’s wonderful how you do these wonderful boxes for those serving away from their families, Wendy! Your Milano Cookie Easter Eggs look absolutely beautiful! Thank you for sharing them, and for being a part of the Hearth and Soul Link Party. Wishing you a lovely week!